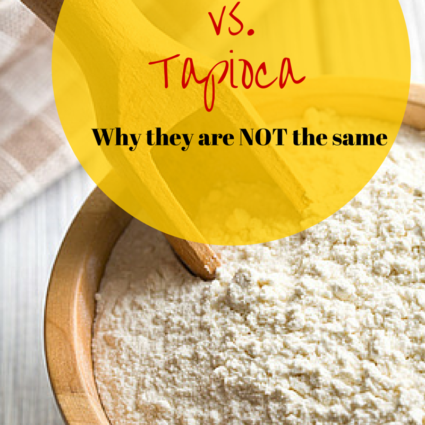 When you’re going gluten free, everyday staples like bread become a challenge. If you’re not ready to give up a Saturday morning staple like French toast, then you’re in luck. 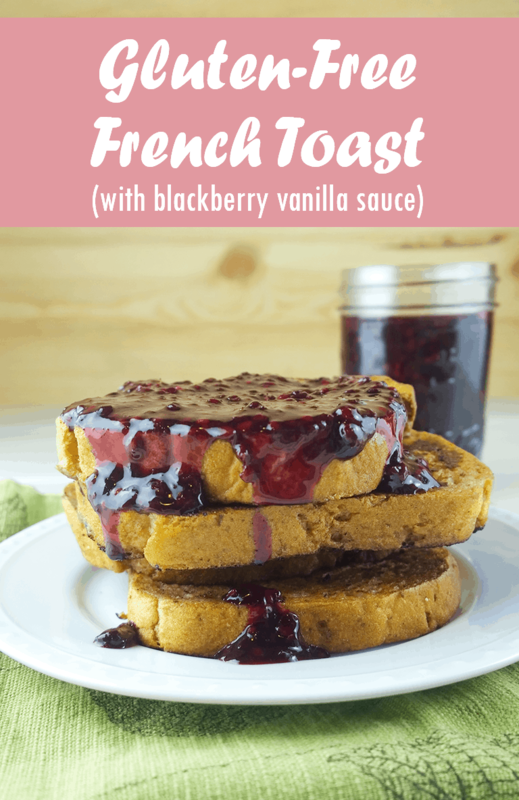 This delicious gluten free French toast is covered in a decadent blackberry vanilla sauce that will have you in gluten-free heaven. When I was younger French toast usually meant French toast sticks from a box. They were absolutely delicious, but since cooking prepackaged junk food to the curb, I haven’t missed them one bit. The real thing tastes so much better! I’ve played around with different French toast recipes and toppings over the years, but this is one of my favorites for sure. It plays on the traditional cinnamon and sugar recipe, but adds a bit more depth with spices like ginger and vanilla. The coconut sugar adds a bit of a caramelizing effect to the French toast with it’s rich, unrefined flavor. I used a store bought gluten free bread for convenience sake. However, you can also use your favorite gluten free sandwich bread recipe. You just want to make sure that the bread you use slices well, or you’ll end up with a pile of French toast crumbs. Here’s a homemade grain free bread that will also work well. This deliciously sweet version of French toast is big on flavor, but not on gluten. Heat a cast iron skillet over medium heat until drops of water thrown in sizzle on the surface. While the skillet is heating, whisk together the egg, cinnamon, ginger, vanilla and coconut sugar. Next, whisk in the milk. Add a small amount, about 1 tsp, of butter or coconut oil to the skillet and allow it to melt and coat the pan. 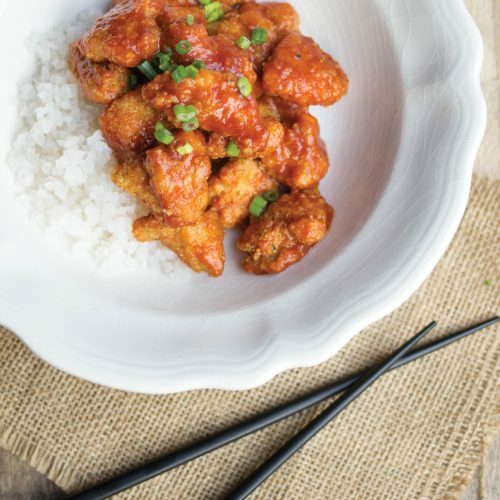 The coconut sugar makes this recipe a bit sticky, so make sure you don’t skimp on the fat! Dip the slices of bread into the batter and cook in the skillet, flipping after the underside is a golden brown. Continue to add butter or coconut oil to the skillet each time your add more French toast slices. 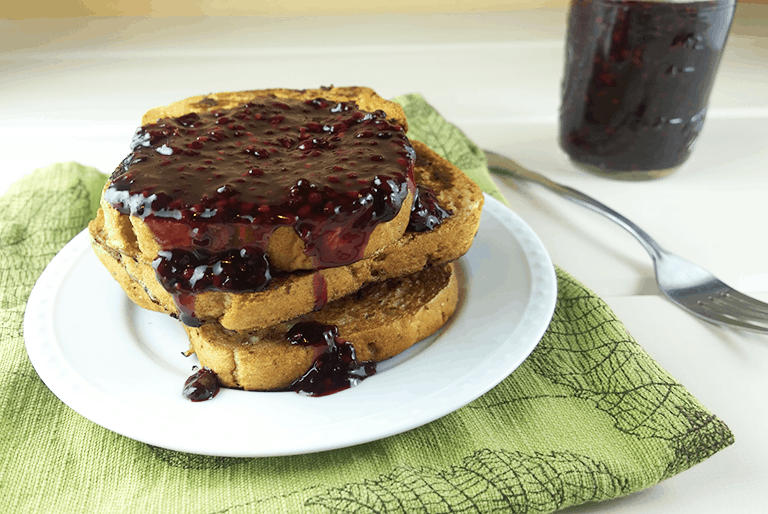 While the French toast is cooking, you can make the blackberry vanilla sauce. In a small lidded saucepan combine the blackberries, maple syrup and wine and cook over medium heat for about 5 minutes. Substitute water for the wine if you prefer not to use alcohol. 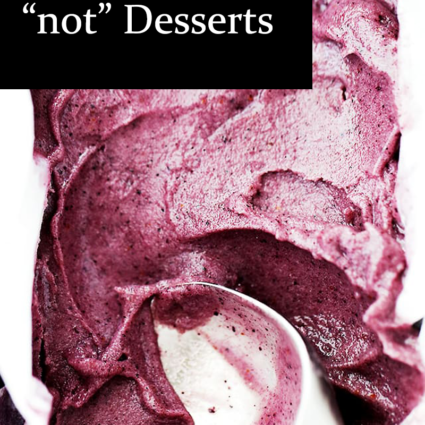 Use a wooden spoon or potato masher to squish the soft berries as they cook. 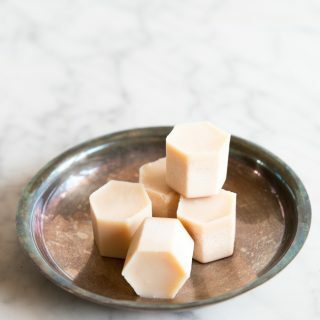 In a cup, mix together the arrowroot powder and 1 Tbsp of water until smooth. Add this to the simmering blackberries, whisking well to combine. Cook for an additional 2-3 minutes, or until the sauce is thickened. 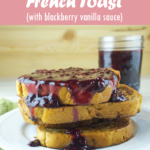 Serve the French toast warm with butter or cream cheese and a hearty dollop of blackberry vanilla sauce.